Our experts in the field work closely together with our customers and growers to identify the challenges that they face and see how we can offer a solution. Today we talk with Laurent Gregoire, Sales Manager sub-Saharan Africa and banana expert, about the effects of seaweed on banana. 1. How did you become the banana expert within Van Iperen? I have been a banana grower myself for six years. During that time, I also worked in R&D in the West Indies and visited many of the big banana producing countries around the world, to fully understand the challenges of growing banana. After that, I moved to Ivory Coast where I managed a 300 ha banana plantation, that exported to Europe. Before coming to Van Iperen, I worked in crop protection, where I was in charge of fungicide and developed a full range of products for banana. 2. Nowadays, what is the biggest challenge of banana growers all over the world? The first challenge is to have good control of the fungus attack. In addition, growers are always looking for ways to be able to reduce the crop cycle without compromising on quality, in order to have a better final yield. And this is where combining Nutrition with Biostimulation comes in. 3. 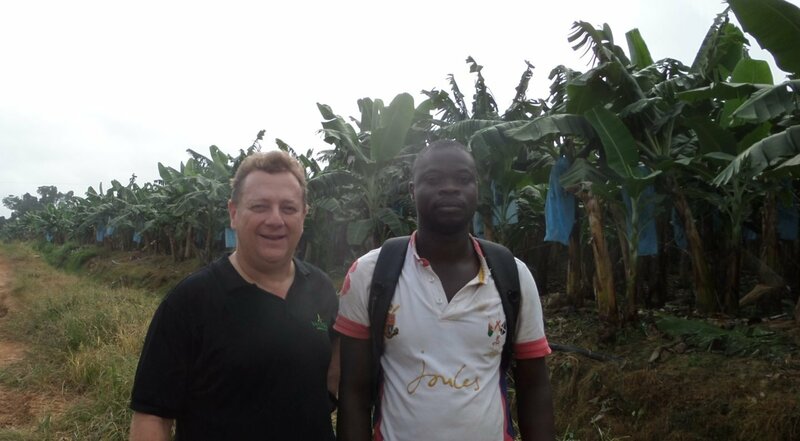 Together with our customer Sodia you did a 2-year trial of Stim Pure AA Liquid on banana in Ivory Coast. Can you explain a bit on the local conditions and why you chose a seaweed product? In order to increase the density of the fruit and the yield, we chose a seaweed based product. The plot size for both the treated and control area was 11 ha. Over a time of 11 months we sprayed 1 L/ha of Stim Pure AA Liquid each month using a small airplane. Laurent together with Mr. N’Da Patrice of Sodia in Ivory Coast. 4. What effects did you see on the crop in this trial? One of the positive effects was an increase in the weight of the banana by 8%. The seaweed also showed positive effects in the assimilation of the nutrients, the development of the root system and in reducing the cycle of the plant, leading to an earlier harvest. 5. Could this also work in other areas, outside Africa? Yes. We did similar trials in two other areas, in Lebanon and Turkey. Here the effects were tested under different climatic conditions inside greenhouses, using both foliar application and drip irrigation. In Lebanon we have some preliminary results showing an increase in the weight of the fruit and a reduction of the cycle of sucker. After the trial in Turkey, the grower was convinced to use the seaweed product, because he witnessed a big precocity of the sucker, meaning a reduction of the cycle. 6. Is seaweed the only product that van Iperen can offer for banana growers? 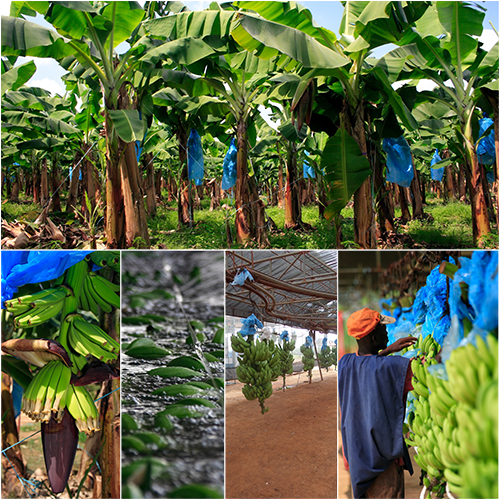 No, we offer a full range of innovative solutions for banana, including Micronutrient mixes for foliar application. In addition, we developed some control release fertilizers to use specifically during the rainy season. Read more detailed information on our R&D and trial process here. Are you interested in more detailed information about banana? Contact Laurent to receive the dedicated Banana Crop Kit.